One of the human race's most popular humor series returns with a brand-new collection of hilariously macabre mishaps and misadventures. 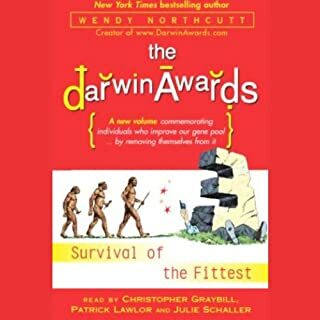 Honoring those who improve our gene pool by inadvertently removing themselves from it, The Darwin Awards III shows once more how uncommon common sense still is. 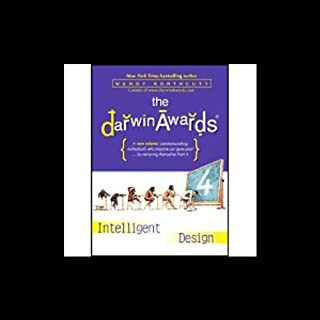 The sixth installment of "The Darwin Awards" features all-new stories of the human race's lowest rung on the evolutionary ladder, and is the latest addition to this successful brand. 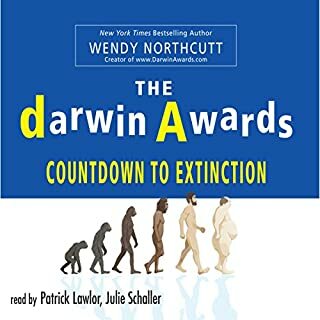 Aside from the bestselling book and audiobook collection that has sold over 1.5 million copies, The Darwin Awards brand includes a website that gets over one million hits per month and a movie starring Winona Ryder and Joseph Fiennes, T-shirts, greeting cards and much more. The human race's most popular humor series returns with a new collection of macabre mishaps and misadventures. 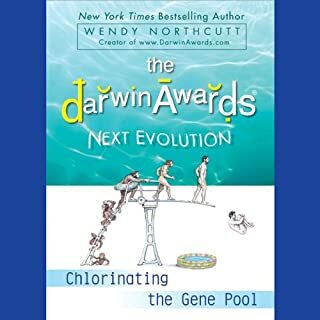 Honoring those who improve our gene pool by inadvertently removing themselves from it, The Darwin Awards 5: Next Evolution shows how uncommon common sense still is. 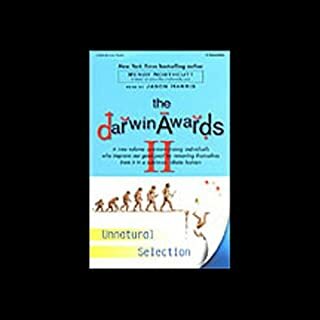 The Darwin Awards commemorate those who improve our gene pool by removing themselves from it, showing us just how uncommon common sense can be. Marvel at the thief who steals electrical wires before shutting off the current. Gape at the would-be-pilot who flies his lawnchair suspended from helium balloons into air-traffic lanes. And learn from the man who peers into a gasoline can using a cigarette lighter. These tales of trial and awe-inspiring error illustrate the ongoing saga of survival of the fittest in all its selective glory! 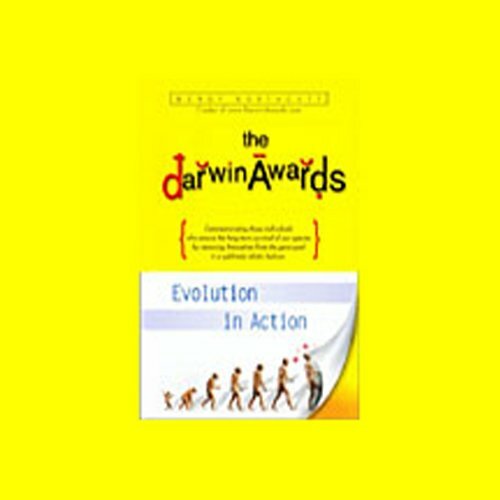 Don't miss the other volumes of the Darwin Awards. ©2000 Wendy Northcutt (P)2001 Listen & Live Audio, Inc.
Would you listen to The Darwin Awards again? Why? 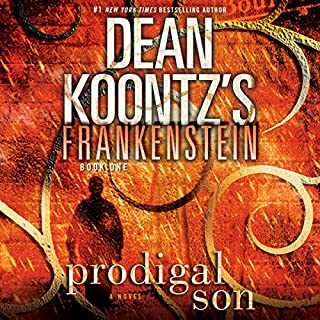 When a book can make you drive and just shake your head at the stupidity of people, then it is worth a second, or in my case, third listen. Nope, I listen to my audio books in the car when driving. Then next best thing, though, is I found myself turning on and making sure my kindle was plugged up before I even bucked up. This book made me feel so much better about myself and my IQ.